There’s a dance of contradictions about the very essence of director Reema Kagti. She has long strident movements that belie her tiny, pixie-like form. And you can tell that inside that petite body she has a frame of stainless steel. That same mettle glints momentarily in her eyes from time to time as she drags testily on her cigarette, while politely making it clear that she won’t be talking about her hush-hush new film with Aamir Khan. At the very onset of the interview and photo shoot, the 38-year-old Kagti had stated flatly, in her booming manner, that she won’t wear make-up. On cajoling, she condescends to a little lip butter. This contrariness comes through even in her work. Her film Honeymoon Travels, released in 2007, is at first glance, a rom-com about six couples on their honeymoon. As the bus ride unfolds, however, it leads you into the realm of magic realism, hitherto never boarded before in Indian cinema. Her innocuous lead pair turns out to be a zany superhero couple and all the seemingly shiny happy people get increasingly darker and twisted, morphing the film into a commentary on the modern Indian marriage. Since then, Kagti has been refining her suspense drama about a police investigation in Mumbai with Aamir Khan, Kareena Kapoor and Rani Mukerji as the cast. Slated for a 2012 release, the word on the street is that the real star of the film is its script. “Zoya (Akhtar) and I thought of the story and co-wrote it. We do a lot of writing together. We’re also best friends so it’s fun and there’s a huge comfort factor. All our creative arguments get resolved by who can bang her laptop harder on the other one’s head,” she says, grinning wickedly. A self-proclaimed compulsive writer, Kagti has been wielding the pen since she was seven with Tinkle magazine as her primary beneficiary. She grew up on a farm in a small town called Borhapjan in Assam and went to school at Loreto Convent, Shillong and DPS, Delhi. Bollywood only began to beckon in the form of video tapes that she would rent every day on her way home from school. But lightning struck in class nine. “I had bunked school and jumped a wall to see Mira Nair’s Salaam Bombay. It had a huge impact on me. I remember feeling very inspired. That was the first clear memory of considering this as a career,” she ruminates. 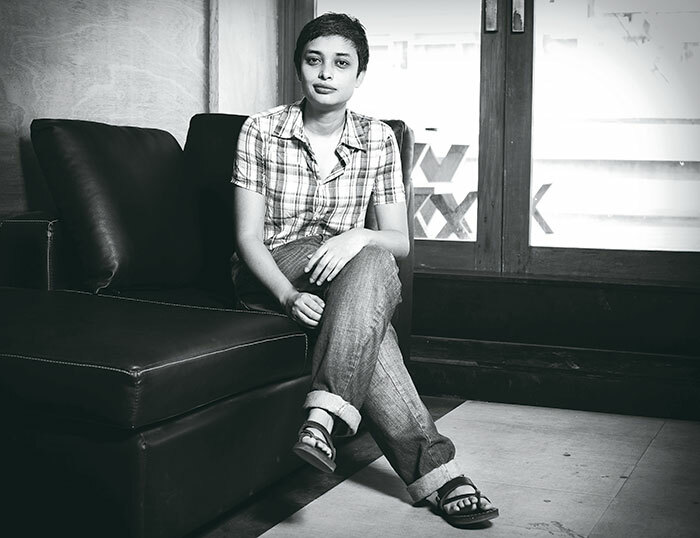 Pursuing film only became an option once she moved to Mumbai to study mass communication at Sophia College. “Left to myself, I don’t think I would have finished college but my father insisted on it. I’m glad he did. You can circumvent a formal education in film by assisting directors, but it’s not that easy to get around basic awareness. Especially in an industry which is completely out of touch with reality,” she says. Desperate to go to film school, Kagti applied to FTII (Film and Television Institute of India), Pune and got rejected at least three times. So she decided to get hands-on experience and assisted a host of India’s top-notch directors on films like Dil Chahta Hai, Lagaan, Lakshya and Vanity Fair. “While I learned different approaches to filmmaking from the stalwarts, my real film school was my DVD player. I try and watch a film a day,” she says.